12:49 PM - slashslash50 mentioned VenomousDSG in post BEAR DOWN!!!! 07:35 PM - VenomousDSG mentioned Ryan02Stang in post How do I stop stupid notifications? 04:12 PM - VenomousDSG mentioned Ryan02Stang in post How do I stop stupid notifications? 03:27 PM - VenomousDSG mentioned Ryan02Stang in post How do I stop stupid notifications? 02:17 PM - VenomousDSG quoted Pratt in post Can we lift the bans already? 12:51 AM - VenomousDSG quoted JETZGT1 in post Can we lift the bans already? 08:44 AM - DirtyDan10 quoted VenomousDSG in post Boys Jordan’s. 03:37 PM - Twista quoted VenomousDSG in post Boys Jordan’s. 12:55 PM - DirtyDan10 quoted VenomousDSG in post Boys Jordan’s. 09:34 AM - rpmchi86 quoted VenomousDSG in post Boys Jordan’s. 07:02 PM - VenomousDSG quoted DirtyDan10 in post Boys Jordan’s. 10:49 PM - 01Cobra quoted VenomousDSG in post What have you done for your Mustang lately? 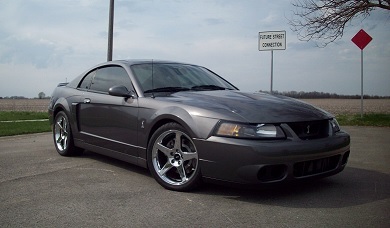 10:50 AM - ADDDave quoted VenomousDSG in post What have you done for your Mustang lately?